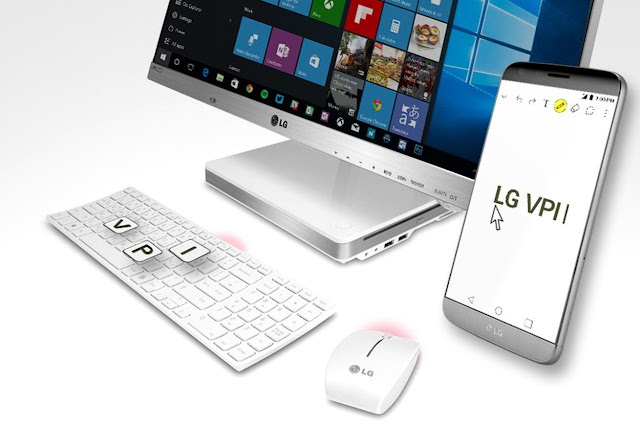 The gap between smartphones and computers is ever shrinking, and LG's VPInput let's you blur the lines even more, allowing you to use your smartphone with your desktop or laptop keyboard and mouse. Some users may have already used their smartphones to remotely access and control their desktop computers, using Remote Desktop or VNC or the likes. But, some also wish to do the opposite: use their smartphones from their computers - and that's precisely what LG's VPInput app allows you to do, as long as you have a LG G5, G4 or V10. Once you install the VPInput in your smartphone (and the corresponding app on the PC - Windows or Mac) you'll be able to type on your smartphone using your computer's keyboard, use its mouse to move around on the smartphone screen, and even copy-paste content from one device to the other. All this is done via bluetooth, which allows you to use the WiFi connection for whatever you want.